What better way to tackle the stiff and complex world of politics than with the power of pop culture wit, inspired by one of the greatest film trilogies ever made: Lord of the Rings. Andy Serkis, who channeled ‘Gollum’ for the film adaptation of the J.R.R. Tolkien classic, has revived the character, but with a brilliant twist. “Oh precious, our agreement, this is it, our deal, yes, yes. We takes back control, money, borders, laws, blue passportses,” says ‘Gollum’-May, before countering with, “No, it hurts the people, makes them poorer,” responds the ‘Sméagol’ version of her character. 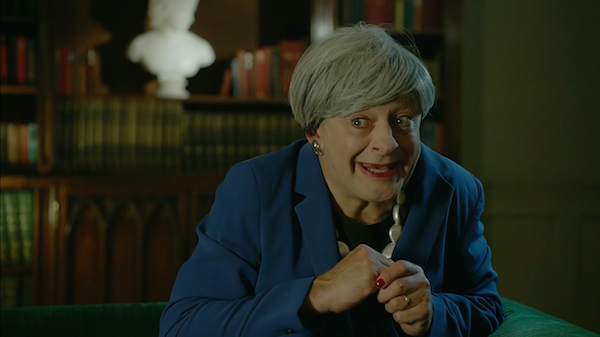 Serkis depicts the conflict between political desire and what’s best for the people, making his stance clear in the video’s conclusion with the words, “The people’s vote we wants it” that pushes for a second referendum to call off Britain’s departure from the EU. The actor has even started an entire YouTube channel under ‘WE WANTS IT’, seeing as how this whole situation might roll on for some time. “For a long time it poisoned her mind, and in the gloom of May’s room… it waited. Darkness crept back into the forest of the world. Rumor grew, of an orange in the west, whispers of a silent extinction that must be stopped, and the Brexit plan perceived.